BOULDER — Forever is a long time — except when you’re in love. The phrase “in love” holds especially true for two valentines from Boulder, Utah, who have been married 72 years. Bob and Naomi Brems, ages 93 and 92, respectively, love spending every moment together. They were married Jan. 22, 1943, raised six children and have 36 grandchildren, 64 great-grandchildren and three great-great-grandchildren. When they were young, the Bremses were both members of the same ward of The Church of Jesus Christ of Latter-day Saints and attended Granite High School in South Salt Lake, but Bob Brems had his first romantic encounter with his future wife at a church youth dance his mother told him he had to go to. Bob Brems said his first dance with his future wife was like dancing with a fairy. After that first magical turn around the dance floor, the two started going on dates. Naomi Brems said she had to initiate the first kiss after only receiving a handshake at the end of their first few dates. Naomi’s girlfriends told her if he had not kissed her maybe it meant he didn’t want to be a couple, she said. Naomi Brems decided she would kiss him on the next date if he didn’t kiss her first. After that kiss, Naomi Brems said, she told her father, who liked Bob Brems, that Bob Brems wouldn’t be coming back for any more dates. But, the next night Bob Brems returned for more kisses. “She lit my fire,” Bob Brems said. The two became exclusive. Pearl Harbor hit a short time later, and as World War II raged on, Bob Brems was drafted into the Air Force Reserve. 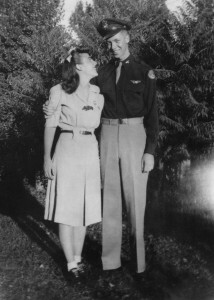 Bob and Naomi were engaged in December, married in January, and Bob Brems left for military service in March, where he remained for three years. Naomi Brems said she was able to travel and visit in certain areas during those years, but only for short times. Along with the first three years apart, tough times have come their way including a 7-year span of bladder cancer for Bob Brems. He is currently in remission and is checked on every few months. The key to a strong marriage and overcoming difficult times, Naomi Brems said, is never giving up. The Brems’ favorite moments together have been spending time with their big family and working together on projects. In their 90s they are still active as they landscape the five acres of land they own in Boulder. Another activity they do together is making chocolates. Naomi’s Candies, is a line of assorted chocolates, which Naomi Brems created 50 years ago and still shares. Bob Brems advises young married men to whisper three special words into the woman’s ear, “let’s eat out,” he said chuckling, as he emphasized spending time together and going out together strengthens the relationship. Communication in a relationship solved any conflict in the Brems’ marriage, Naomi Brems said. Naomi Brems said commitment in their generation was always important and because of that commitment with each other it has kept their relationship strong. During the winter months, the Brems live in Moorpark, California, where they assist in teaching at the LDS Institute of Religion at Moorpark College. Naomi Brems said they take the marriage class and work to continuously improve their marriage each day. Great story. Enjoy the day folks. Holly, what a great story. We loved watching this. Brought a tear to my eye cause they were so sweet to each other and cute. 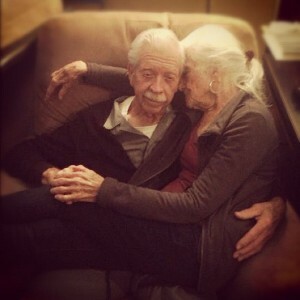 Hope I am like this couple when I’m a bit older.